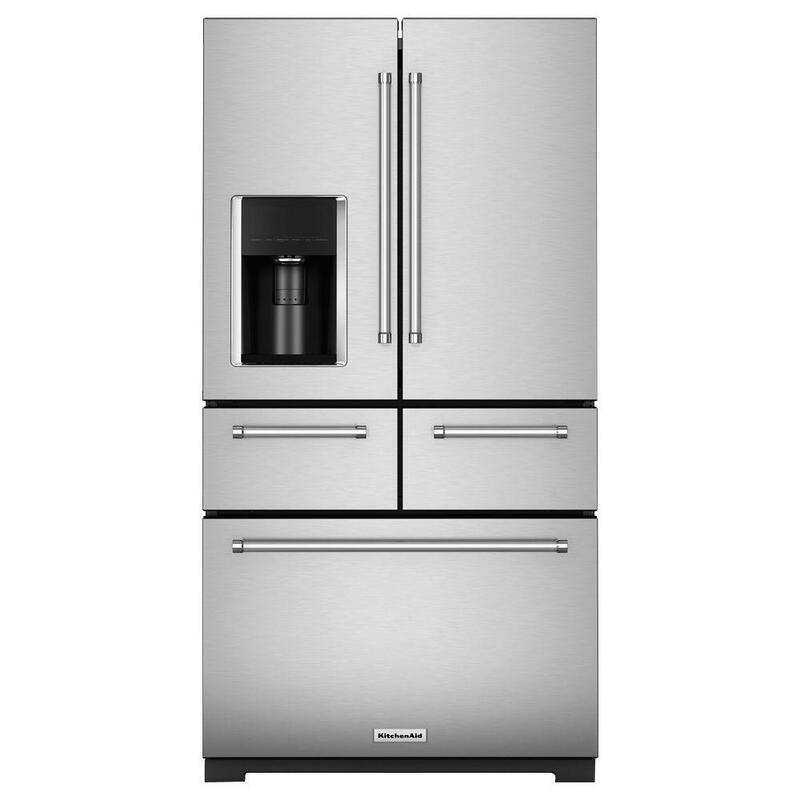 This uniquely versatile refrigerator offers 5 doors, including 2 soft-close drawers; to deliver optimized organization. It features the Preserva® Food Care System which uses two independent cooling systems to help keep food fresh longer. A dedicated herb storage compartment takes good care of fresh herbs to give your recipes the flavor you deserve. Preserva® Food Care System - Two independent cooling systems provide a dedicated refrigeration unit to help keep food fresh longer, and a separate system for frozen food. The FreshFlow™ Air Filter helps minimize odors while the FreshFlow™ Produce Preserver helps delay over-ripening. Soft-Close Drawers offer optimized storage and are a first for freestanding refrigeration. The left drawer features 5 preset temperatures; meat/fish, drinks, greens/herbs, deli/cheese, thaw/marinate. The right drawer includes a Produce Preserver and is ideal for produce. LED Lighting illuminates the inside of the refrigerator and freezer giving for better visibility. Unlike incandescent bulbs, LED lights use less energy, are maintenance-free and never need to be replaced.